There's nothing quite like chocolate that makes every guy melt. This year forget the usual tie or sports memorabilia you always get as gifts. 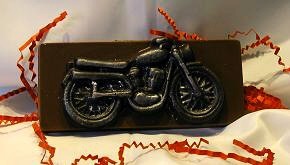 Surprise him with a chocolate motorcycle complete with chrome-like details. 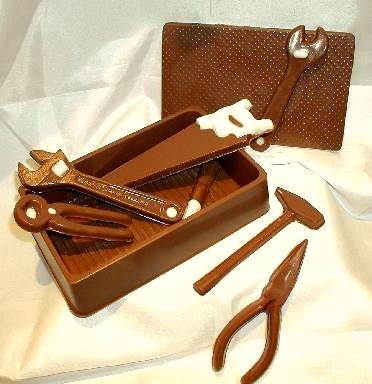 Or get him our solid chocolate toolbox complete with his own set of edible tools! For more ideas visit our Sports page!